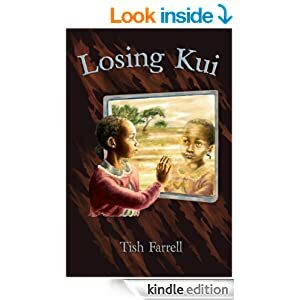 Posted on January 20, 2019 by Tish Farrell	This entry was posted in African History, Heritage and tagged #Lens-Artists, Great Zimbabwe, Tish Farrell Writer. Bookmark the permalink. Thanks for bringing us these amazing cityscapes, Tish! Sort of an absence of city. Thanks, Sue. Well, yes, I should have said past cityscapes….. Thanks for these lovely shots Tish, and for highlighting another example of European arrogance and supremacist ideology — debunked in this case thankfully. Thanks, Su. Not sure the debunking has debunked quite far enough in some quarters though. It’s amazing how blinkered some people are. We all have a bias, Tish. I love yours 🙂 🙂 And I could happily spend time in your second photograph. Cheers, Jo. It was an amazingly strange place – in a good way, but a touch overwhelming too. Now, if only we could identify those pesky aliens who built the pyramids! Hi, Tish. Great post. Ahh, those colonialists. Such arrogance! 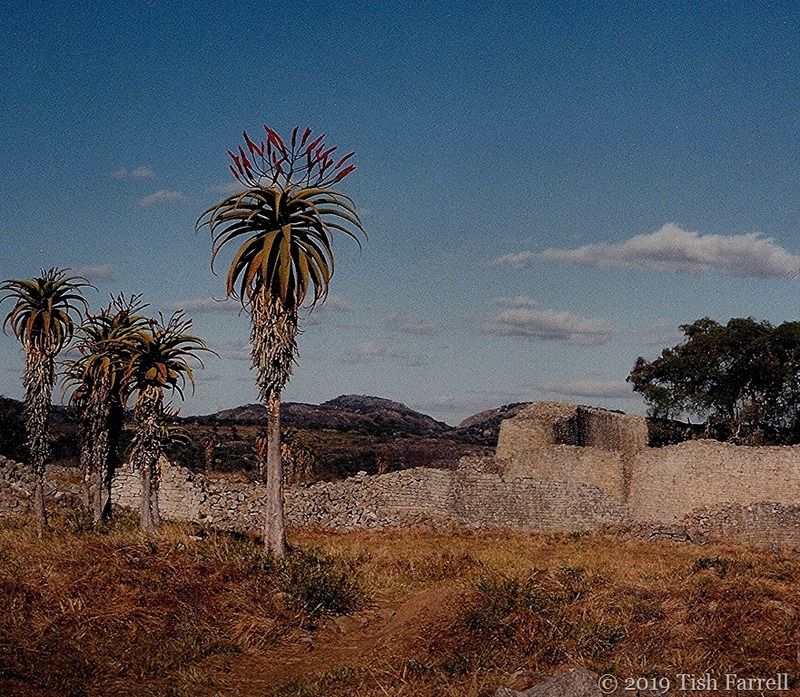 I love this: “Of course when the ruins of Great Zimbabwe were re-discovered by Europeans in the late 19th century, specifically by one Carl Mauch, it was thought that the city could not possibly be the work of indigenous people.” The search for gold was also the reason for the European exploration and “discovery” of North and South America. Indeed. Europeans were definitely besotted with stuff, to the tragic cost of the peoples of the Americas. I don’t think the Portuguese found their Eldorado in Africa, though they completely hijacked the East African dhow trade for some considerable time, and they built a lot of forts. Very interesting, and great photos! 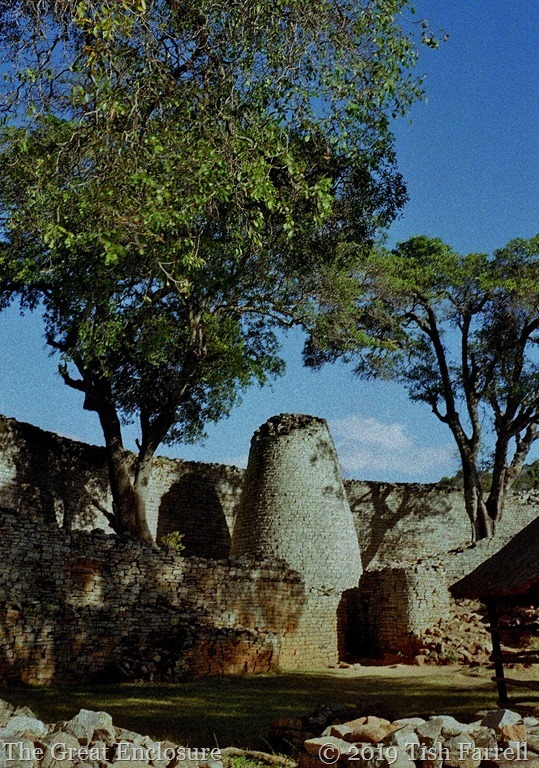 Of course when the ruins of Great Zimbabwe were re-discovered by Europeans in the late 19th century, specifically by one Carl Mauch, it was thought that the city could not possibly be the work of indigenous people. reminds me of the saying that nothing exists until it has been discovered & probably named by a European. A great entry for the theme. Thanks, Janet. And yes, am keeping warm. Have a good week. Such an interesting post, Tish. I have never heard about this city in Zimbabwe before. What I’ve known is limited to the famous Victoria fall. Now, I know. Thanks for sharing the information, Tish. It’s an amazing place, Nurul. The world before the ‘modern era’ and indeed even back to the early Iron age, was a far more cosmopolitan place that we were ever taught. Of course the indigenous people couldn’t have created Great Zimbabwe, and the Benin bronzes must have fallen from the sky, because the West Africans couldn’t have made anything that wondrous either, grrrhhhh! Great photos Tish, I wish I’d gone when I had the chance. And on this very topic, did you see either of David Olusoga’s episodes in the recent Civilisations series? Such a gentle man who nails things so thoroughly. Beautiful and sad. Our past is not a good one – and I am afraid there are still many obstacles to make us enlighted. That is very true, Ann-Christine. We need to put in some hard work (and thought) in quite a few areas. Amazing the arrogance of the “conquerors” isn’t it?! Interesting take on the challenge-very creative ! Thank you for that thought, Tina. I suppose the ‘conquerors’ always have to find ways to justify their actions. First I must say I love the new blog layout! Fascinating piece of African history that does indeed have me re-adjusting my picture of the history of African peoples before the white folks arrived. It reminds me that early European explorers were convinced that Angkor Wat must have been the ancient Romans since they couldn’t believe that it was the work of the Khmer people. Hello Alison. So glad you like the new layout. It is truly astonishing isn’t it the way Europeans have been so busy setting limitations on other races; and so convinced of our own superiority. Hard to know on what evidence we base this view of ourselves. It rather assumes we believe we have nothing to learn from anyone else. What a mind blowing write-up. Well-done, Tish. I just stumbled on your blog and I think I’ll be spending more time here. I blog at https://oldnaija.com where I discuss Nigerian history and culture. You might want to check it out. Thanks. Nice to meet you, Teslim, and thank you for your kind words. And I have just popped over to your blog. Very interesting. I shall be back. Thank you. I’ll be expecting your return, Tish.